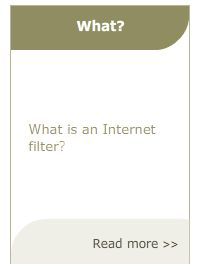 ufdbGuard is an internet filter. 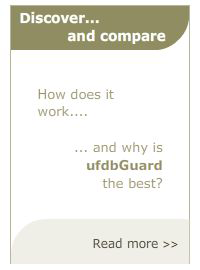 Besides blocking access from PCs and smartphones to undesired websites, ufdbGuard has safety features to make browsing safer and to block remote access. ufdbGuard supports configuration of groups with different web access policies, SafeSearch enforcement, SSH tunnel detection, safer HTTPS traffic, time-based access rules and much more. The URL filter blocks Tor, UltraSurf, SSH tunnels, VPN tunnels and remote access software used to connect to a PC at home whilst at work. ufdbGuard works with the Squid web proxy which is also Free Open Source Software. ufdbGuard for Squid is Free Open Source Software and has no backdoors and does not track users. 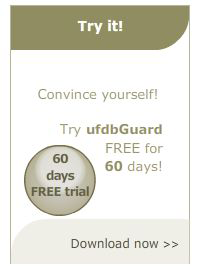 Since the source code is freely accessible you can check out yourself that ufdbGuard only keeps statistics and keeps only track of new URLs which are not yet part of the URL database. ufdbGuard for Squid 1.34.2 was released on March 1, 2019.
ufdbGuard Query Server 1.1 was released on February 5, 2019. Stop access to a computer at home. ufdbGuard blocks SSH tunnels and remote access software.